As a result, it has become apparent that it's not necessarily what you say in your Facebook posts, but how and when you say it. And it's not the same time for everyone. Because Anyonita Nibbles is read by people in the US and the UK primarily, finding a time when both demographics are actively on Facebook is quite tricky. Many of my US readers spend most of their time on Facebook when it's 1 and 2 in the morning here in the UK. I love and appreciate all of my readers and Facebook fans, but I just can't hang out until 2 in the morning to post on Facebook. So for me, it's important to be able to communicate with demographics when it's beneficial for them and not for me. Hootsuite handles the Twitter side of things brilliantly! And while it is possible to schedule Facebook page updates with Hootsuite and IFTTT, they are less effective. 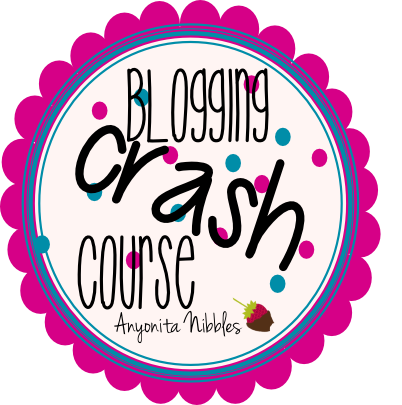 I attended a blog conference this summer and there was great debate and mystique about Facebook's post algorithm. Bloggers huddled around in groups, discussing Facebook's algorithm in hushed tones, steam from cups of tea and coffee wafting into the air. The verdict seemed to be split: some people said Facebook had an algorithm for posts, others swore that it didn't. But after months of research and experimenting I can confidently say that Facebook does have a post algorithm and it's a finicky one. 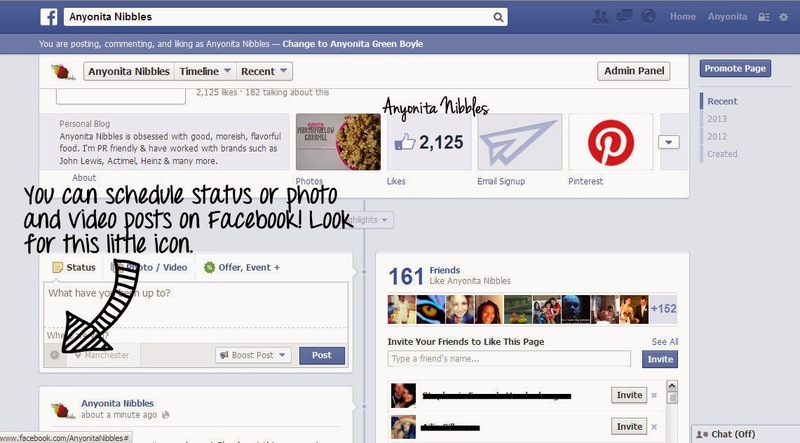 For starters, Facebook weighs one type of post above another. 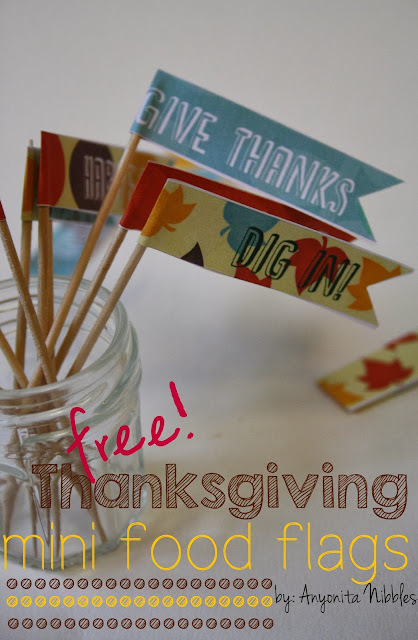 Posts with photos in get extra Facebook brownie points ... at certain times of day. Posts that are just status updates can trump just photo posts. It's all a bit vague, but there is a difference and knowing when your Facebook fans react to which type of post is the most important key. 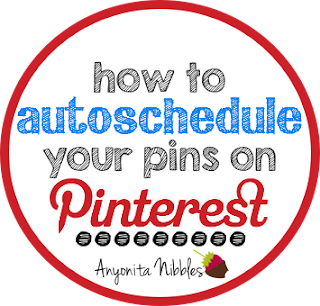 Once you figure this out, you can put Facebook's autoscheduling function to work for you. 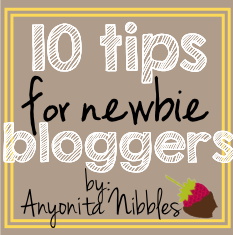 Once you know when you get the most feedback from your readers in relation to the types of posts you post on Facebook, you'll be able to get your posts seen and noticed every time. It's important, though that you post through Facebook! Using Hootsuite or IFTTT or a similar autoscheduling platform may be just as convenient, but you can't guarantee that it will follow the proven order for adding elements to your post. When you want to share a photo on Facebook with a link, it is best to first upload the photo and then add your text and link. This order flags up key components within Facebook's algorithm. The effectiveness of this is gauged by your ability to publish these posts when the majority of your readers are on Facebook. You can follow this algorithm until you're blue in the face, but if 90% of your Facebook fans are logged on between 7 and 8 pm and you post at 11, your post is less likely to be effective. 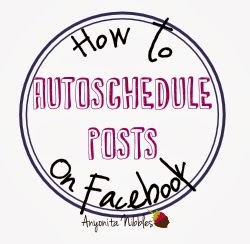 Because we know that Faceook likes the photo first and then the text, using a third party for autoscheduling could jeopardize your post's effectiveness. My advice? 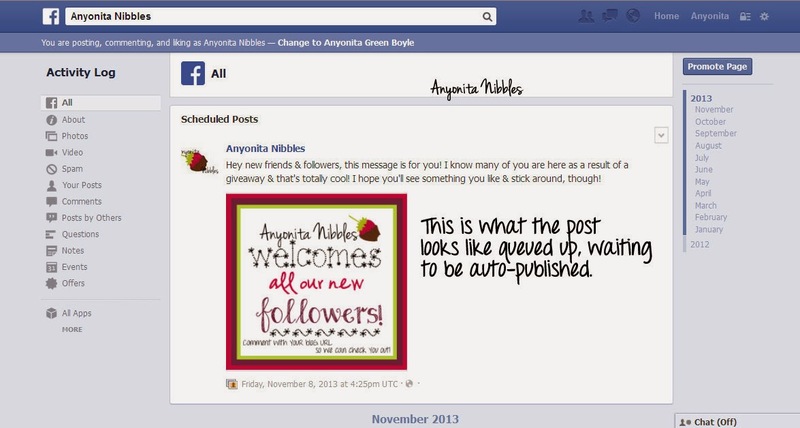 Stick to Facebook for autoscheduling Facebook posts! You can schedule status or photo and video posts on Facebook! Look for the little clock icon on the post composition screen. 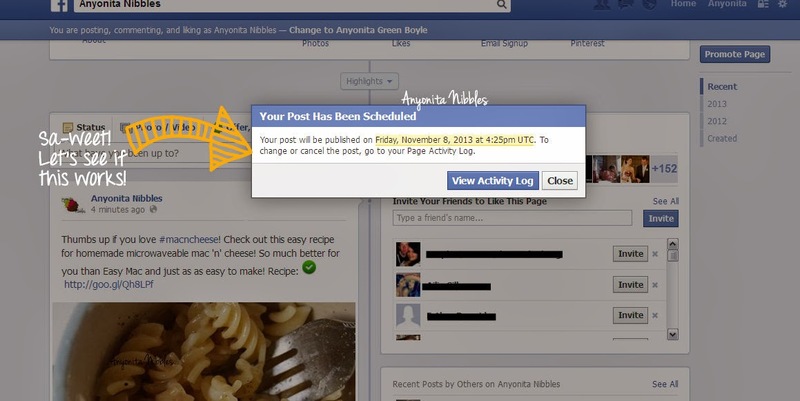 Determine when your post will be published by choosing the date and time. Unlike other autoscheduling platforms, Facebook lets you pick a time in 5 minute increments! You get this friendly message telling you that your post has been autoscheduled. 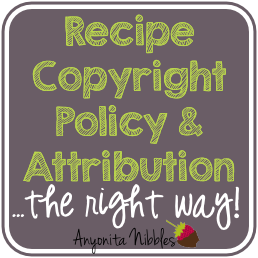 Recipe Copyright Policy & Attribution...the right way! Thank you for the very helpful information! I'm looking forward to my social media sharing getting much easier! that people might want to avoid.